Paul Pogba emerged as the hero when France took on Australia on Saturday. The World Cup opener for both sides seemed destined for a 1-1 draw courtesy of penalty kicks. However, a moment of brilliant link up and inspiration between Pogba and Giroud ensured that a looped-in ball that needed goal-line technology to verify ensured that France won the game 2-1 in the 80th minute itself. Many praises were showered upon the 25-year-old, whose recent antics at Manchester United have been a mixed bag, to say the least. Supporters were excited to see their favorites perform as intended, and will be anticipating a grander show for the duration of the World Cup that was left. However, the remarks of Jose Mourinho on the matter were interesting, to say the least. The Portuguese gaffer didn’t think Pogba got the goal in the first place. 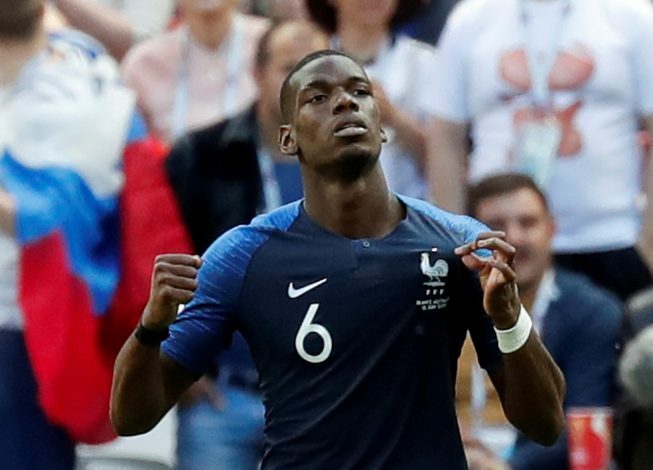 However, what the Red Devils boss went on to say will be viewed positively by Pogba: “The majority of French players were too comfortable or not wanting to risk too much, or not confident enough to make things happen. Mbappe didn’t have a great game, nor Ousmane Dembele or Griezmann. “The midfield were very positional, Paul didn’t interfere a lot in the game, but then – this action is the action of a No 8. That’s what people used to call the box-to-box midfielders. Interesting remarks from the gaffer. Perhaps something he will try out next season at Old Trafford?